The wallet is one of the most essential accessories, especially for a man. First of all, a wallet will help a man to store his cards, IDs, and bills. Second of all, a wallet is an accessory; hence, wearing the right wallet with the style can help to enhance one man’s style. 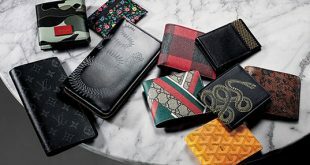 There is a wide range of men’s wallets on the market. 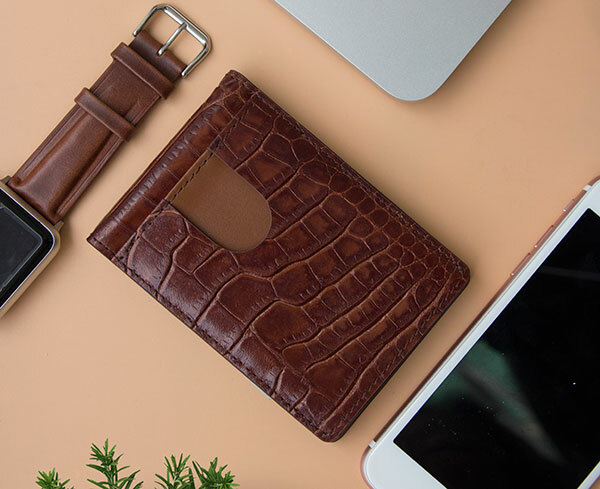 While you are in the search for your most suitable wallet, you need to look out for materials, colors, functions, and most importantly, styles. 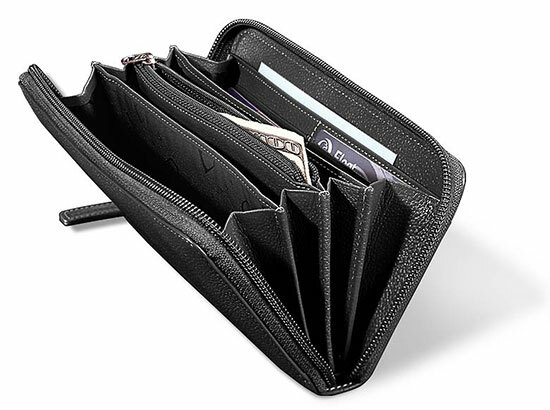 There are quite a few of styles of wallets including the bi-fold, the tri-fold or the breast wallet. Each of them has their own features, pros, and cons. You should know about them if you want to look for the best wallet that meets all of your unique needs and requirements. 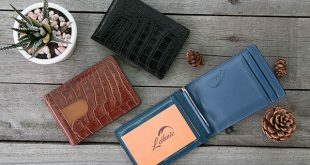 Take a closer look at this article below for more information on the most popular styles of wallet. 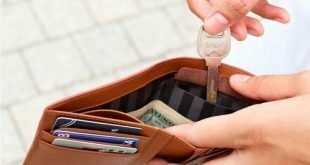 This is the most common styles of wallet that you can find on the market. It can be folded in half featuring the classic standard wallet. Most of the bi-fold wallets on the market have the credit card slots in the vertical position. On the other hand, the main compartment of the wallet to store notes and bills is in the horizontal position. The bi-fold wallet hardly comes with a closure system. There are 2 main types of bi-fold wallet for you to choose from the plain bi-fold wallet and the coin wallet. The plain has no additional pocket for coins while the coin wallet does. 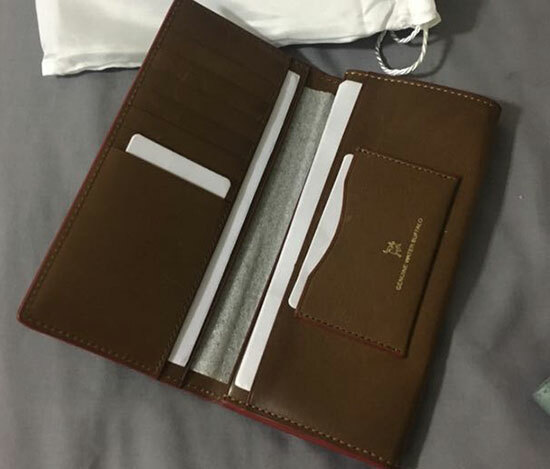 As this style of wallet is among the most popular styles, you can find literally thousands of bi-fold wallets on the market. As a result, there are thousands of products with different colors or materials for you to choose from. No matter what colors or materials you like, you would be likely to find a bi-fold wallet that meets all of your needs and preferences. The bi-fold wallet is among the thinnest and slimmest in design among all types of wallet. You can easily slip this wallet into your trousers’ front or back pocket. It is also the lightest style of wallet. Last but not least, it offers a lot of features such as a separate compartment for you to keep notes and money bills. You can only store from about 4 to 5 credit cards with a bi-fold wallet. Verdict: In case you are looking for a stylish wallet with the minimalist or classic style, this wallet is for you. Also if you don’t have to store a lot of credit cards and cash, this style of wallet is good to go. Unlike the bi-fold, the tri-fold wallet has 3 parts. It can be open from 2 sides. It will have 3 parts. The slots of the credit cards are IDs are situated vertically. 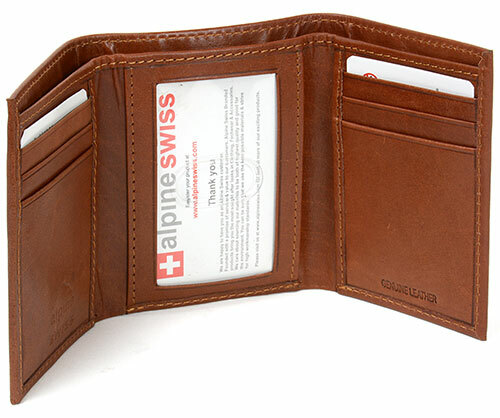 Still is also among the most popular styles of wallet. It has the same look as the bi-fold wallet. You can stores coins on the back of the tri-fold wallet and close it with the zipper. And like the bi-fold wallet, you can find a tri-fold wallet with no additional pocket for coins if the slimness is the thing that you are looking for. This style of wallet tends to have more credit card and ID slots than a bi-fold wallet. A tri-fold wallet can help you to store from about 6 to 10 credit cards and IDs. It also offers a lot of features such as a separate compartment for you to keep notes and money bills. In comparison with a breast wallet, the tri-fold wallet is still lighter and more compact in design. This wallet is a little bit bulkier and heavier than the bi-fold wallet. 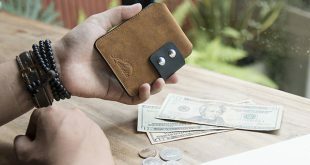 Verdict: In case you are searching for a wallet which has a lot of slots for your credit cards and slots while remaining lightweight and slim-fit, this style of wallet is for you. 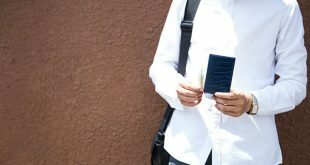 A tri-fold wallet is more suitable for the younger men and teenagers. This accordion wallet has its name because when this type of wallet is open, it looks like an accordion. Most of the accordion wallets use zippers to open and close the main compartment of the wallet. Inside the zippered main compartment, there is a smaller zippered compartment to help you store coins and bank notes. This style of wallet can help you to store a lot of items. In addition, you need to use zippers to open and close the wallet. Hence, it is very secure as well. Moreover, it has a lot of nice features, which you can’t find in other types of wallets. There are slots of different sizes for you to store different cards from different sizes. A wallet with the accordion style is considered to be kind of out of date. In addition, it is longer and thicker than the bi-fold and tri-fold wallet. 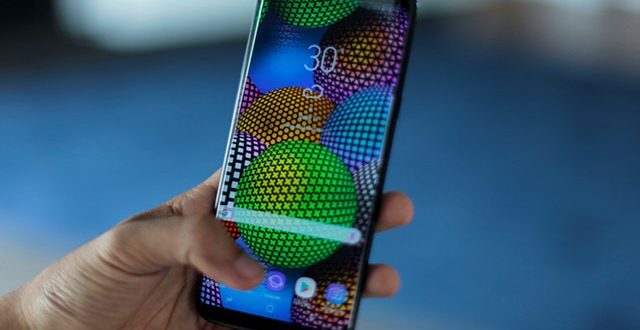 It is also not foldable. Verdict: If you like a traditional wallet that uses zippers to open and close, you can consider this type of wallet. You can also consider buying one if you have to store a lot of cards of different sizes. The breast pocket wallet is also known as the check wallet. While the other styles of wallets which I mentioned above come with a few compartments to store notes in the horizontal position. 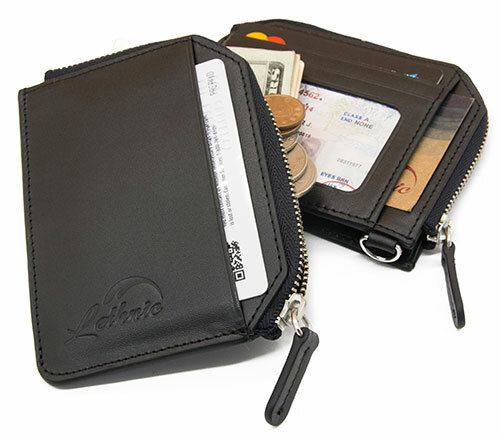 There are credit card slots and pockets for you to store credit cards and bill notes. More importantly, it has a special compartment for you to store your checkbook as well as other large sized documents such as travelling tickets and passports. This style of wallet has a very unique look. It also tends to be more formal than other styles of wallet. Hence, if you are looking for a formal wallet to bring to work, you can consider this style. There are a lot of credit card slots for you to store more than 6 to 8 cards all at once. You can store bank notes and checkbook inside the wallet without having to fold them. Thanks to the size of this breast pocket wallet, you can also store important documents inside the wallet as well. It is long (but you should keep in mind that it is still very thin, depending on the model you get). You can’t fold this wallet. Verdict: If you don’t want to buy a wallet to slip in your trousers’ pockets, but to slip in the front pocket of the trench coat, the breast pocket is for you. It is a suitable if you need a wallet when you go travelling as well. This coin holder features a rectangular shape in design. 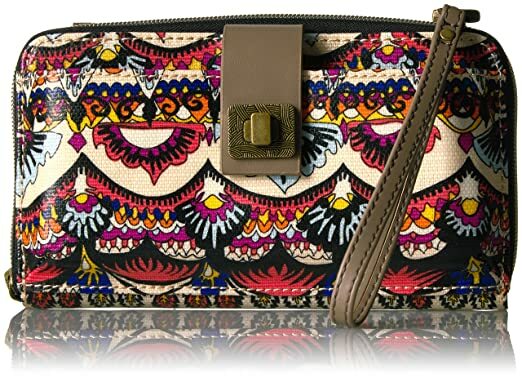 It has a small pocket which is zippered to help you store coins and small bank notes. The design is simple and it comes with a great and affordable price. It is small and compact. In addition, you can store it basically everywhere you like. Moreover, it is easy for you to put stuff inside the wallet. Just simply unzip, put the coins and notes inside, and then zip the wallet to close it. It lacks the essential features that you find in other styles of wallet such as slots for credit cards and IDs. This style of wallet is not suitable for any man who loves to be organized. Imagine when you open the wallet when it is full, everything will fly out for sure. And it will be a worse nightmare when you are in a rush. Verdict: The coin holder is suitable for anyone who is looking for a small wallet. You will like it if you don’t have a lot of needs to store cards and bills. As you can see, the wrist wallet is actually not a wallet that you can slip in your pockets. Instead, it is a wallet for you wear on your wrist. While it is worn on your wrist, this wallet has all of the essential features including the slots for credit cards, a small compartment for bills, and a zippered pocket for coins. It is a very unique style of wallet. People notice this style of wallet instantly. You don’t have to worry that you don’t have any pocket to store this wallet. It is not versatile as other wallets. You only use it when you take part in a sport or an outdoor activity. Verdict: If you are a sports player or about to take part in a sports activity, you can consider wearing this wrist wallet. As you can see, there are a lot of styles of wallet for you to choose from. And each of them has different features with their own strength. As a result, they would be suitable for different needs and preferences. 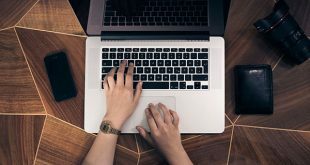 Besides styles, you need to also consider the materials as well as the colors and the quality of the wallet before you can make the final decision.